The average American worker spends more time working at the office than they do at home—7.9 hours compared to 3.1 hours. If that time is filled with frustration over poor technology user experiences, employees start to suffer and so do the companies they work for. While companies spend plenty of time and effort ensuring external users have a positive experience with their brand and services, putting that same effort into ensuring their own employees have positive user experiences with workplace technology and tools will have an impact that's just as important. A user experience (UX) strategy can help improve employees’ focus, productivity and job satisfaction. Here are some steps to consider when upgrading and/or integrating audiovisual, communication, and/or collaboration systems. Employees can collaborate better if they understand how their workflows interact with other dependencies within the organization. A company-wide understanding of enterprise architecture means teams and individuals can support each other efficiently instead of generating roadblocks within processes, thus facilitating happier users. 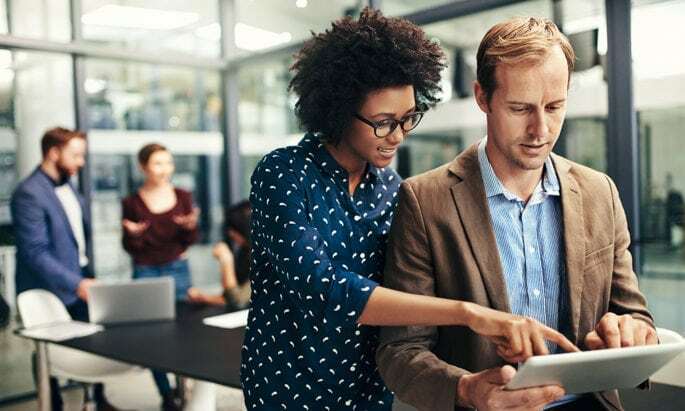 According to Brad Sousa, Chief Technology Officer at AVI Systems, if a user can’t resolve a problem with workplace technology in three minutes or less, they are unlikely to ever try using that technology again. Companies should pay attention to how long it takes users to master new tools and how long to resolve usage issues, making adjustments to smooth the learning curve. Employees are increasingly mobile and your workplace technology has to be as well. Struggling to connect to a video conference, to hear clearly on a conference call or to access collaboration tools is just as frustrating at home as it is in the office. When purchasing and implementing technology the experience of remote workers and your mobile workforce should carry as much weight as the user experience of on-site employees. It can be tempting to assume poor UX is the result of user errors or lack of adoption but help desk requests often tell a different story. If your IT staff or help desk staff are answering the same questions repeatedly, the problem is most likely with the tool, not the users. The best way to ensure a positive user experience is to let users be part of planning the design. Before you invest in a new tool or technology, ask your users what they need, how they want the experience to work and what they expect from workplace technology. Then, design a solution that delivers it. IT Pros are in the business of helping other people maximize technology solutions to improve user experience with their brand, but they should also consider their own brand and what experience they are providing to their own users. In some cases, adjustments might be needed to improve the client experience. Instead of acting as a single point of contact, for example, IT might consider creating relationships with specialists in areas they aren’t familiar with. IT pros working in the field should also ensure they have the training necessary to provide positive experiences for clients and employees. As your own users have good experiences, you can better help other companies do the same. Does Collaboration Change with 4 Generations in the Workplace?